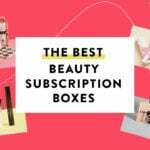 The Birchbox Limited Edition: Birchbox x Vogue: Transformation is available now! 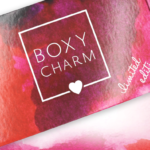 Introducing the second installment of the Birchbox x Vogue Limited Edition Box. Inspired by their March issue, which unpacks the increasingly relevant theme of “Transformation”—in beauty, fashion, culture, politics, and entertainment—each of these hand-selected products is totally rejuvenating, occasionally surprising, and above all fun to use. You’ll find single-dose ampoules that reveal a radiant complexion, a pore-minimizing primer stick, a cult-favorite red lipstick that has galvanized a new generation of feminists, and more, plus tips from Celia Ellenberg, Vogue Beauty Director. These products are more than mere beauty aids, they’re tools of inspiration—and empowerment. Who needs a filter when you have this invisible stick to minimize pores and smooth fine lines? Embedded with tiny glitter flecks, this mascara adds an unexpected flash to lashes. There is nothing that transforms a look like red lipstick—and none quite as empowering as this one. The featherweight feel of this refreshing essence belies its ability to plump skin. These tiny glass pods provide an instant shot of skin-evening moisture and illumination. This mask adapts to the contours of your face and brightens up your complexion. Unlike an antiquated shower cap, this locks in the benefits of the ultrarich hair conditioning mask. I’m going for this. I think the value is great. I love Babor skin products.. not as great as Sisley but still very good skincare that several skincare spas I’ve gone to use. Also, the single mask with no price or link, Saturday Skin Spotlight Brightening Mask, is sold on Sephora for $6.00. Looks like a good box but the price is ridiculous. Waaay too much for what you get.. If it’s still available in a couple for less than $50, then I’ll bite. 1) I don’t know how you could think that this is way too much for what you get… $265 of great products from some amazing luxury brands for nearly $200 less…? Thanks for the code! It worked just now. I couldn’t get either of the other two codes shown this morning to work. YES! Thanks for the code! It worked and I can’t wait to get all the goodies! How has that lipstick “galvanized” a new generation of feminists?! Ooh, not for me. The idea of glitter in my mascara makes my sensitive eyes twitch just thinking about it. I’d love to try that mascara. The essence & sheet mask look like they’d be fun to try. I already have the Babor ampoules… I think from a LE Glossybox from last year (I better get to using those! ), but I wouldn’t mind having more, and the rest would be gifted. Looks like a good box, but I’ll have to wait until it’s (hopefully) on sale for 30% off in a few months. I got Babor mascara in a Glossybox and hands down best mascara I have ever tried. I would love to try other products from this brand. Babor is too much like Babar for me to take this brand seriously. 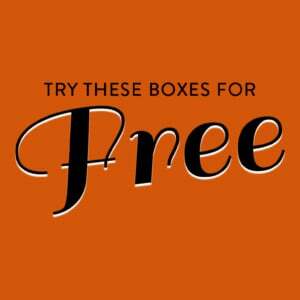 FIRST15 will work for 15% off this box. I was able to use TAKE15 too.